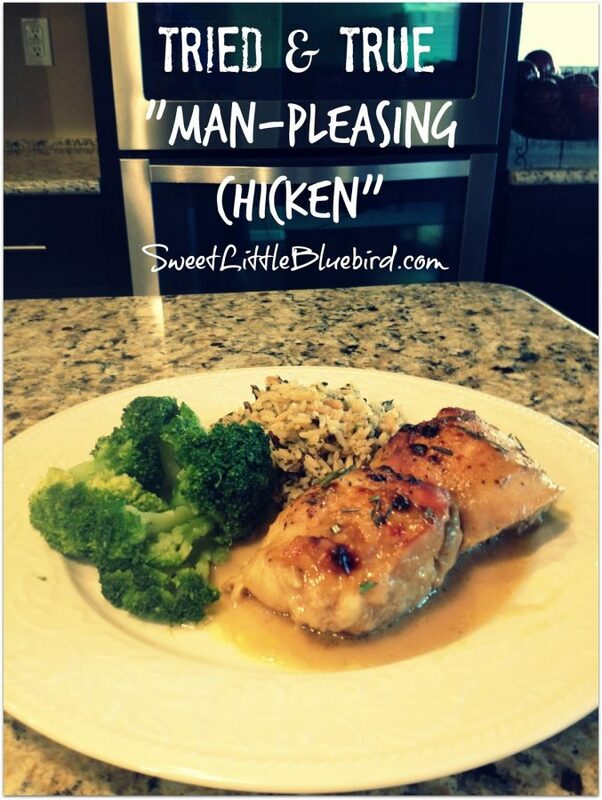 This week I have another Tried & True recipe that rocks, Man-Pleasing Chicken from Witty in the City! 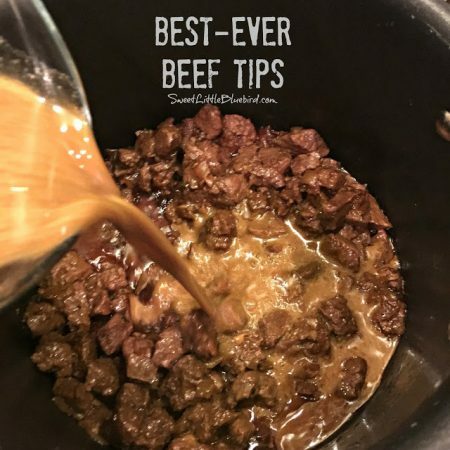 After seeing this recipe time and time again on Pinterest and pinning it myself, I had to see what all the fuss was about. 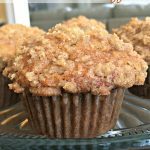 I headed over to Witty in the City where I originally saw the recipe. After reading loads and loads of rave reviews again, I decided to make it for dinner last night. 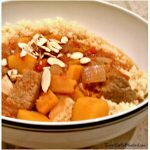 The original recipe is from Trader Joe’s Cookbook, which I don’t have, so I’m not sure how much the recipe is adapted. 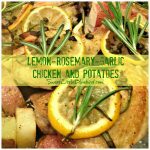 You can find this recipe online often called Maple-Dijon Chicken, Maple-Mustard Chicken and Holy Yum Chicken. 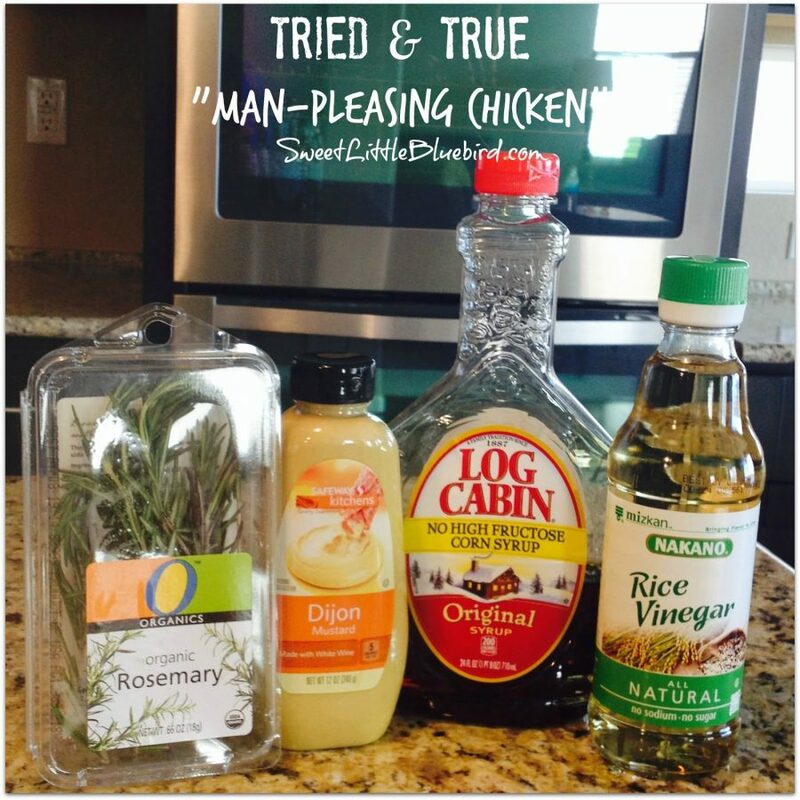 I am just going to call it good – really, really darn good chicken – family pleasing chicken! Both my girls loved it (11 and 17 years old) and my husband thought it was absolutely delicious, full of flavor! I loved it too, it was wonderful! What I loved the most was how simple it was to make. Just a few ingredients with very little prep time and in under an hour you have a fabulous meal. 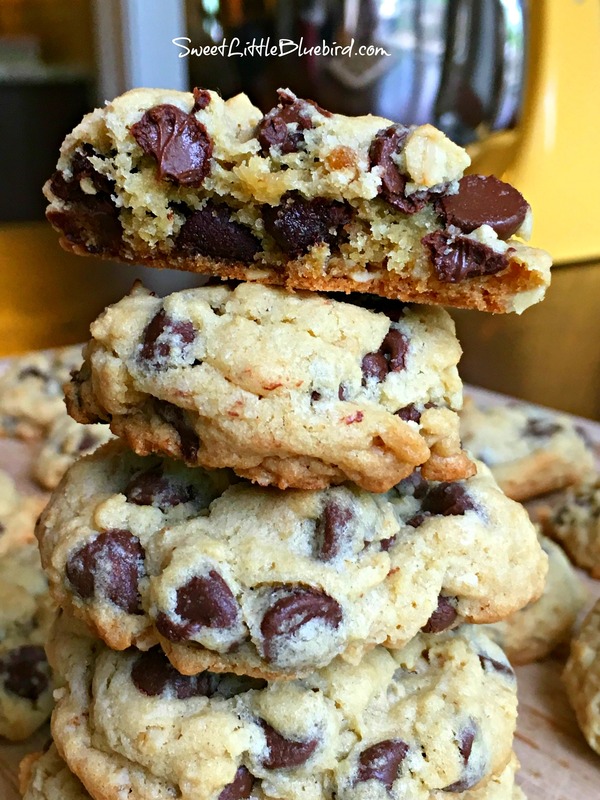 Head over to Witty in the City for the full recipe. I followed the recipe as directed, only adjusting the amount of chicken thighs from 1.5 lbs to 2 lbs for my family of four and a smidgen more of each ingredient. I lined my baking dish with foil for a quick and easy clean-up. I also lightly sprayed the foil with non-stick cooking spray before adding the chicken. I served it with wild rice, steamed broccoli and salad. 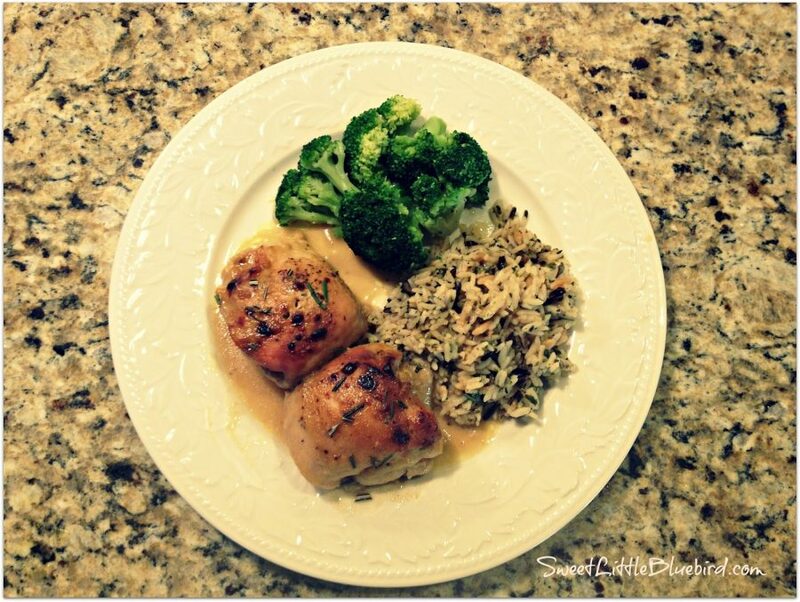 If you make this, be sure to spoon the maple-dijon sauce over the chicken, wild rice too! De-lish! If you are not a fan of mustard, you may not care for this dish. Unless you want to spend hours cleaning your baking dish, COVER WITH FOIL! *Maple Syrup, UPDATE (9/6/14)- Witty in the City only uses Pure Maple Syrup. After reading the comment section, some people say use pure maple syrup, some say you do not need to. I didn’t have pure maple syrup the first time and used what I had in the pantry, Log Cabin, and the chicken turned out great. I just made the chicken again this week using Pure Maple Syrup. Pure maple syrup made an already great dish even better, it was awesome! So if you have Pure Maple Syrup, I highly recommend using it. If not, it’s still great with maple syrup like Log Cabin. Fresh Rosemary is a must have! I added rosemary to the sauce before baking and then garnished with more once it was done. If you want your chicken to brown, you may need to place it under the broiler for a few minutes. 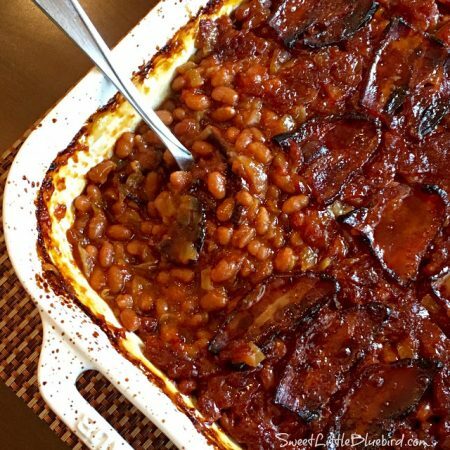 Be sure you are using a metal, heat-safe baking dish. 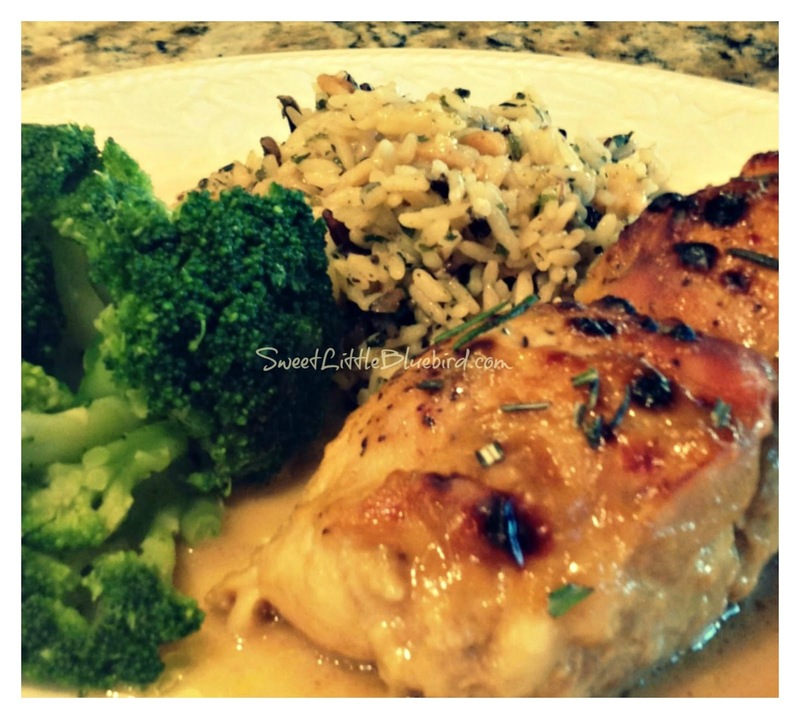 People have used chicken breast and bone-in chicken thighs with this recipe. You can read more in the comment section at Witty in the City. Head over to Witty in the City to print a copy of this wonderful recipe! I made this the other day and it said I could substitute Raw Honey for the syrup. It turned out great! I baked it at 425 for 35 minutes. can you make it with chicken breast in stead? 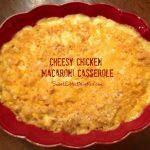 I have some chicken thighs in the freezer that are begging to be placed in this recipe. Thank you so much for sharing. I'm going to give this a try. Hi Angie! You need to make this! 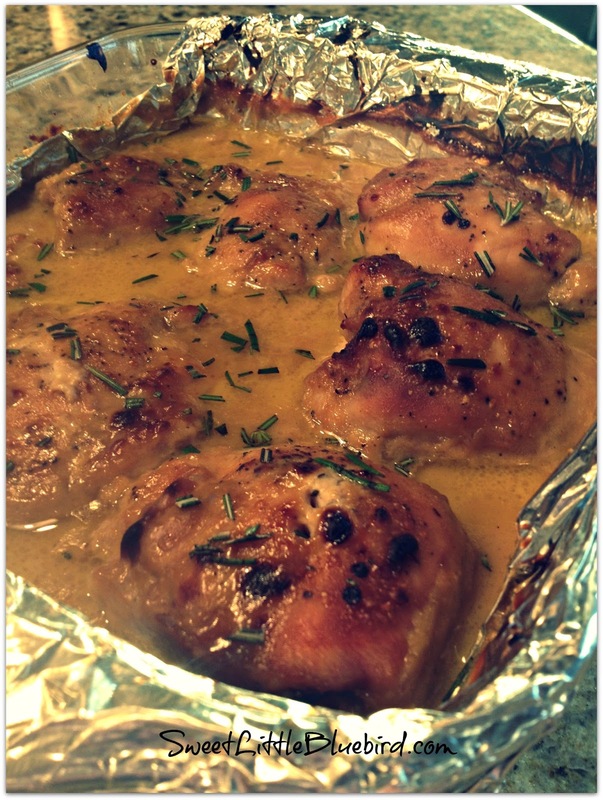 I'm so glad I decided to finally make this chicken…it's a new family favorite. I made it again and used pure maple syrup – it was so delicious! If you have Pure Maple Syrup, I highly recommend using it. 🙂 You are so welcome! Thanks so much for the visit and comment, Lee Ann! 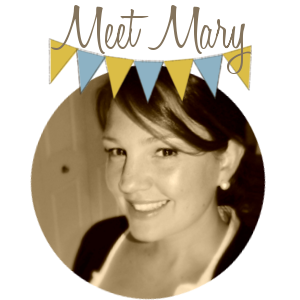 Oh I love your tried and true recipes Mary and Sam loves them too! This will be one I'm sure he'll like! Thanks for the foil lined pan tip too! Danni , YOU MUST MAKE THIS CHICKEN! Now! And if you have it, use pure maple syrup. I made it again using pure maple syrup – holy smokes was it awesome, pure maple syrup is better. But honestly, Mel, when I made it the first time with Log Cabin Syrup….we LOVED it! 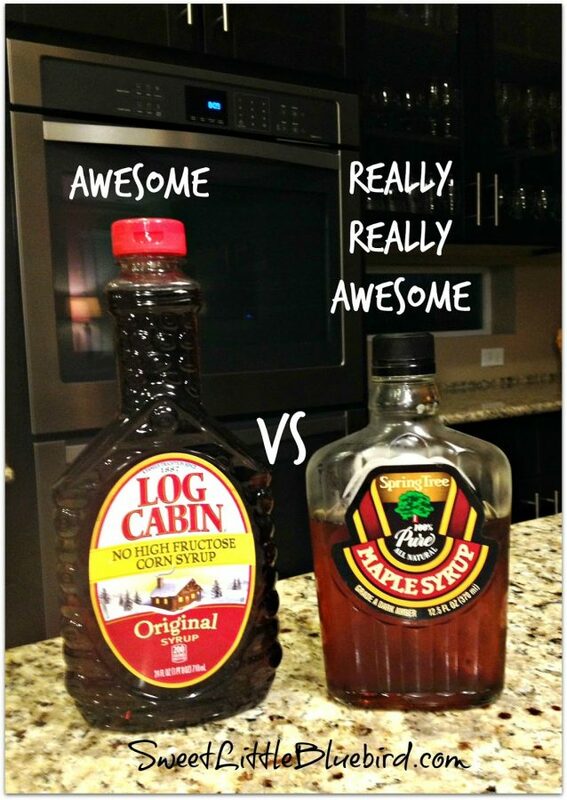 I was just wondering about using log cabin instead of real maple syrup. I'm so glad you addressed that. 🙂 This sounds amazing. I made it again using pure maple syrup – it was ahh-mazing. However, the first time I made it with reg maple syrup we loved it. I will say, if you have Pure Maple Syrup, use it. If not…it's still a wonderful dish with reg (Log Cabin) old syrup.